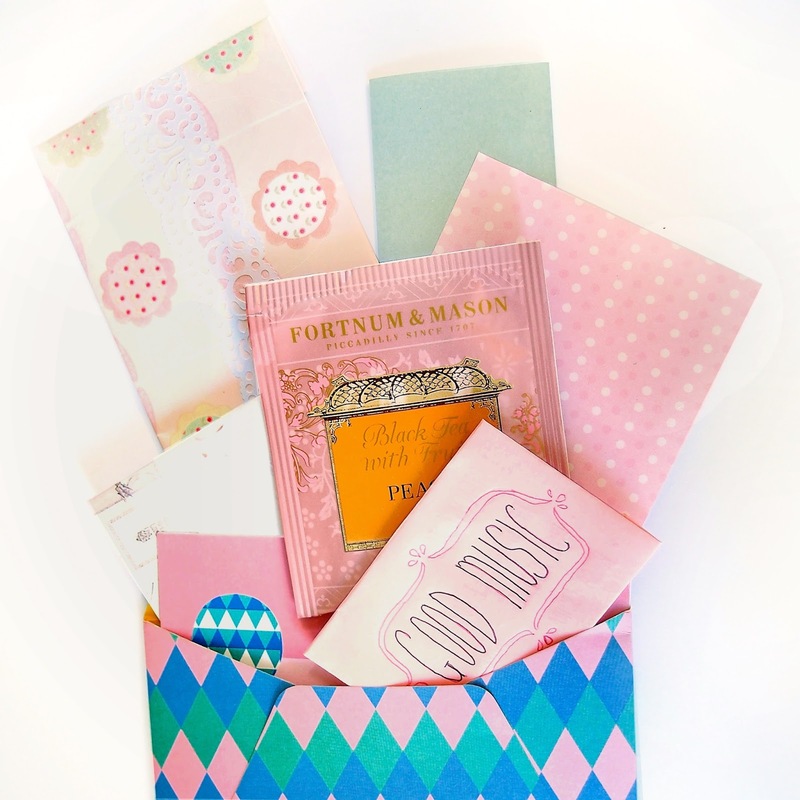 Whether it is your pen pal, your best friend's birthday or your sibling's Christmas gift, a thoughtful mail with all sorts of notes and presents will certainly be a pleasant surprise to the receiver. Here are some tips and suggestions on what you can include in your assortment of wonderful things. There is nothing more heartwarming than expressing what you think of and like about the person you love. Write about the unforgettable memories, funny jokes and tough hardships that you have been gone through together. Find some motivational quotes and sayings that can cheer up your friend when they feel down. Print the quotes or write them in little square card stock decorated with stickers and doodle drawings. Find some beauty product samples (body lotion or hair conditioner) or other gifts such as stickers or hand drawn watercolour cards to give to your loved ones. Wrap them pretty and decorate it with ribbons or washi tapes. Whether it's the music, art, books, recipes or any other things that you are obsessed with currently, share it with your friend and let them fall in love with your new discoveries as well. Jot them down on a list then folded into a mini envelop, or for the more artistic gals, create a mood board and let them see the collage visually. Nothing is better than reading a letter while sipping a warm beverage, inhaling the flavoursome aroma of the tea/coffee. Include one of these in the mail so they can enjoy this experience. Example 1: (Clock wise from top left) a hand written note, quotes written on a card sealed in a mini envelope, origami paper with current music and websites that I like, small card with gratitudes and things that I want to say to my friend, and a teabag for her. 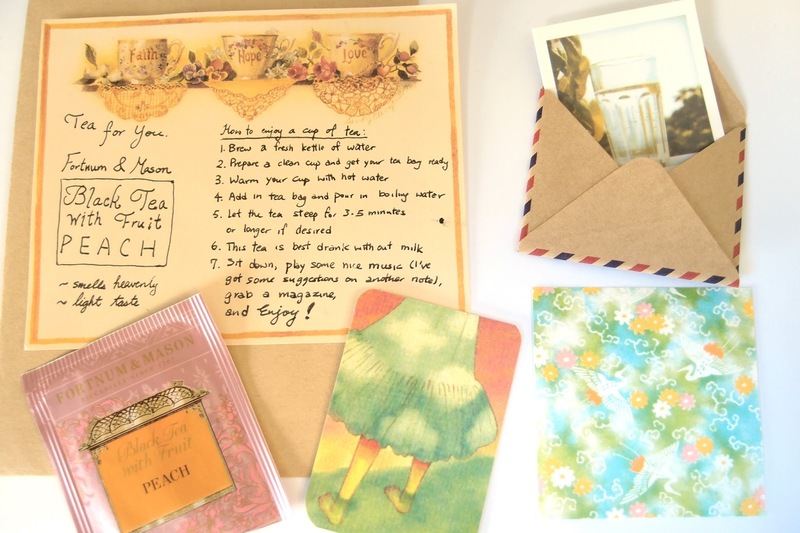 Example 2: (Top) An envelope wrapped with ribbon; (Bottom, from top left downwards) A teabag, an printed note, an envelope, "good music" note, little wrapped present, second note paper, third note sheet, a decorative strip to wrap all the notes together. For more snail mail inspirations, visit my Pinterest board. Create your own snail mail and spread some love! I am sure you too will enjoy making something pretty for your friend.